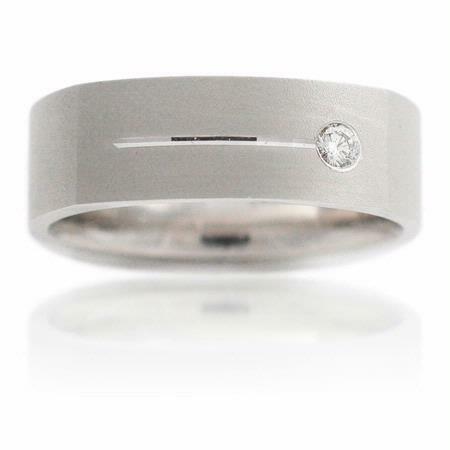 This incredible men's 14K white gold wedding band ring, contains one round brilliant cut white diamond of F color, VS2 clarity, of excellent cut and brilliance, weighing .07 carat total. 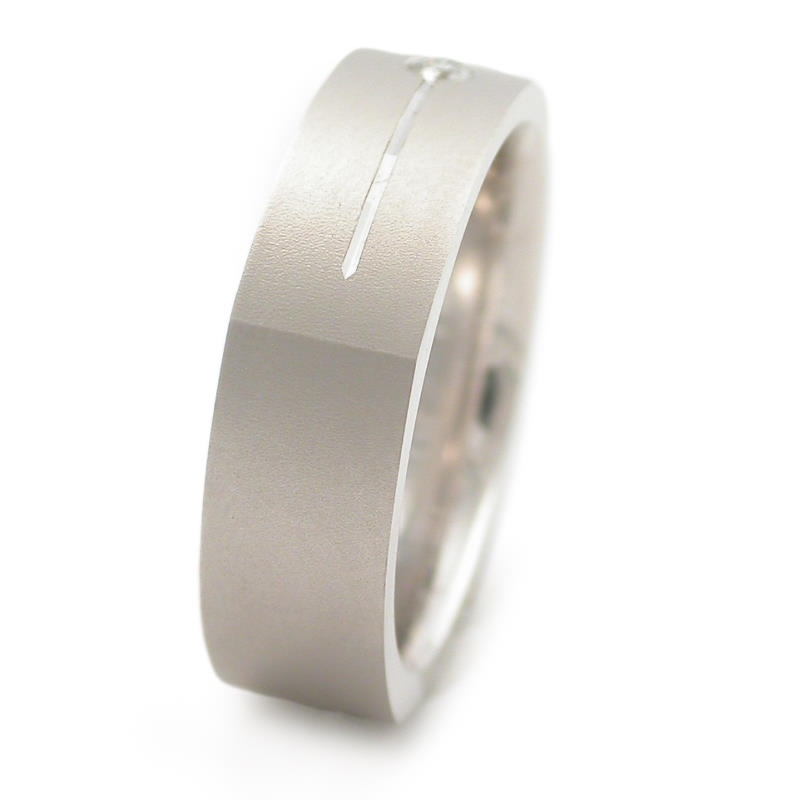 This ring also features an immaculate matte finish. 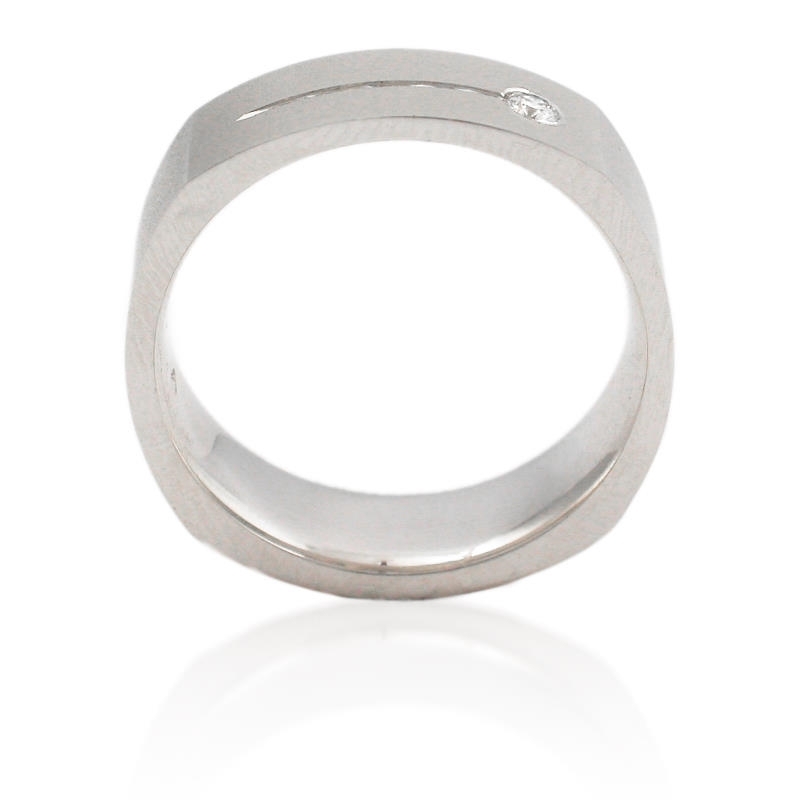 The ring is a size 10 and measures 7mm wide.